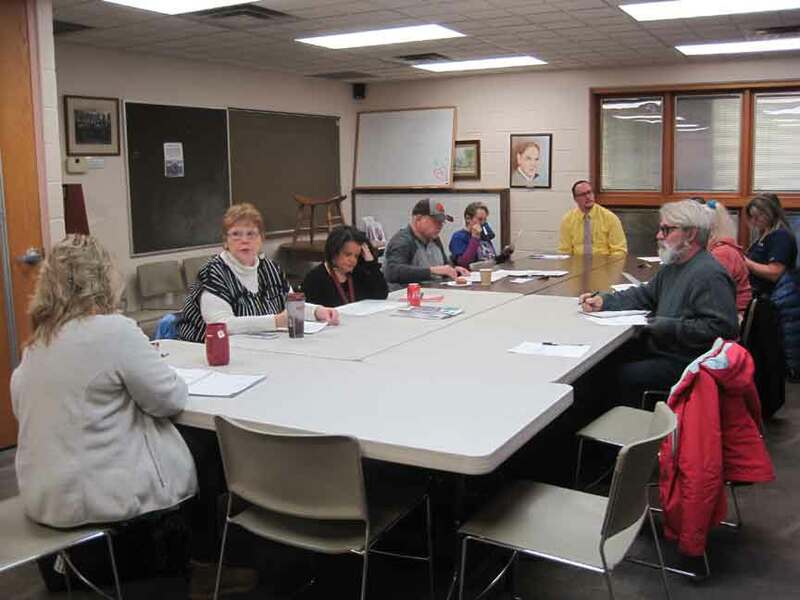 ANDOVER – Several items of old business were the main topic of discussion on Wednesday, March 13 during Pymatuning Area Chamber of Commerce’s monthly meeting within the meeting room of Andover Public Library. (From March 15 edition). According to President Lara Reibold the chamber is still in need of some sort of fundraiser event that can help pay for the principal of the chamber building mortgage that they are currently paying and asked if anyone had suggestions. Barbara Klingensmith said that Grand Valley recently had a Night at the Races fundraiser and that the first year is the hardest but often has great profits after that. After some further thoughts and comments, Jennifer Vickery suggested the idea of a penny raffle to win cash which she said they could host before and during Pymatuning Lake Festival while agreeing to be in charge of it with help from Mayor Raymond French and Lara Reibold. From there Pam Jordan discussed that this year’s Brenda Merill/Chuck Thobaben Awards event will be a breakfast and is scheduled for Wednesday, April 24 at 8 a.m. at Andover United Methodist Church and that she plans to send out invitations to people regarding it this week. Reibold also noted that Christy Paul may be willing to help with the centerpieces again this year and that Jordan should ask Sparkle regarding a cake this year as well. In other business Reibold reported Ashtabula County Home Show as being successful and busy this year with about 80+ vendors. During time for news and comments Venie Hinson said that she has the People in the Park schedule ready to go for this year and will requesting people to host the events at next month’s meeting. Reibold also noted that directories are available and that the Easter Egg Committee will be meeting this week as they need extra help this year with stuffing eggs beforehand and volunteering at the community egg hunt itself on Saturday, April 20 from 8 a.m. until Noon. At the end of the meeting Director of Andover Public Library Nancy Logan announced a couple upcoming programs including a beekeeping one on Thursday, March 28 at 5:30 p.m. involving Ric Harvel, as well as a photography contest beginning March 22 for ages 16 and up. The minutes from their Feb. 13 meeting and the treasurer’s report were approved with the next meeting set for Wednesday, April 10 at 8 a.m. within Andover Public Library’s meeting room. Pictured: Several members of Pymatuning Area Chamber of Commerce gathered together on Wednesday, March 13 within the meeting room of Andover Public Library.